FILM FESTIVAL NEWS- The Element-Behind the Scenes to show at the Never Stop surf film festival. Very excited to have another festival screening for my film, 'The Element - Behind the Scenes'! 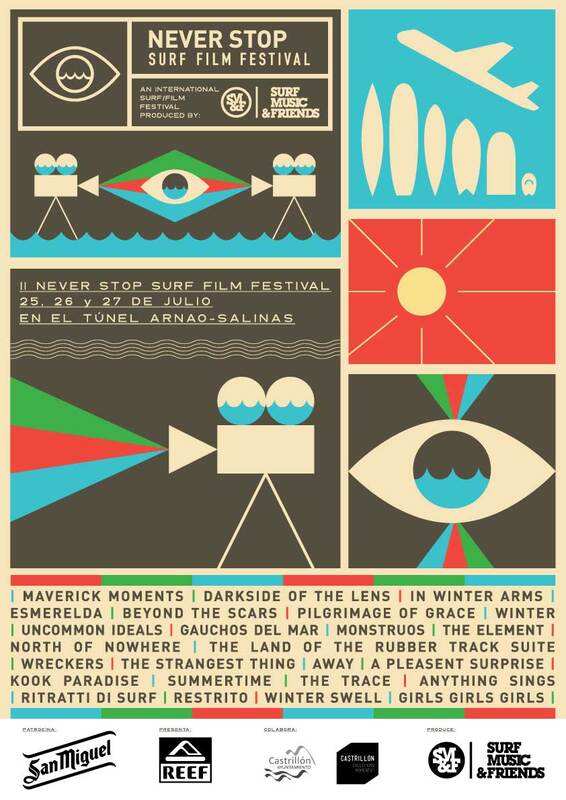 This time it will be shown at the Never Stop Surf Film Festival in the north of Spain. Looks like a really great festival which I was hoping to attend but I will be traveling to another film festival in Italy the same week so can't complain too much. Another post to come regarding that! Check out the poster to the festival and the trailer below! Some very exciting news regarding, 'The Element - Behind the Scenes to follow'!